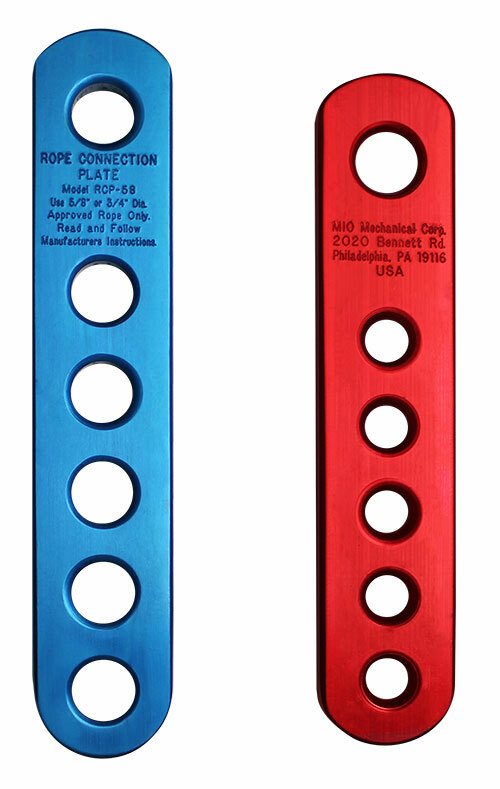 The Rope Connection plate Model RCP-5834(left) is used to terminate a 5/8” diameter 3-strand rope, while Model RCP-12716(right) terminates 7/16” and 1/2” double-braided, or kernmantle rope lifeline. The plate provides a quick reusable field termination that eliminates the need for knots and factory termination. The MIO Swivel incorporates a sealed ball bearing for smooth rotation. 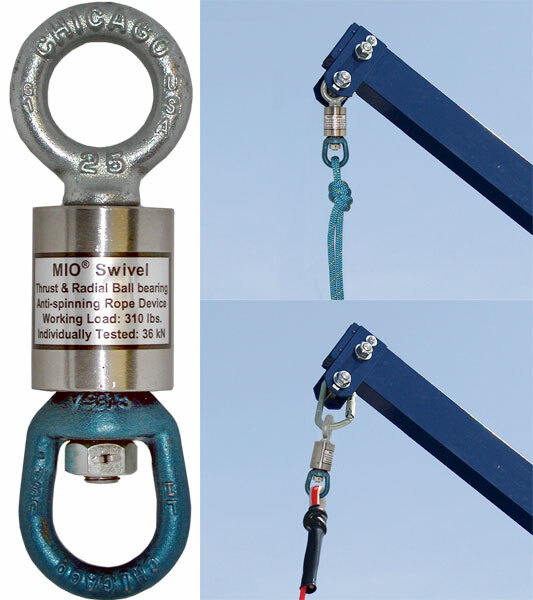 Ideal for using as an anchor point on the vertical rope line during a manual descent with a "cylinder" type descender. Much more durable then the sport swivels on the market. Available on its own or permanently attached to a roof rigger. The Eye Grip Anchor (EGA) easy one hand installation temporary anchor. Makes it an ideal 5,000 lb. anchorage point with wide range of applications. Vertical or horizontal installation makes Eye Grip Anchor adaptable to various connecting scenarios. It fits holes with a diameter from 3/4" to 7/8” and wall thickness of 3/8” to 1 9/16”. Unit is made of high grade stainless steel. 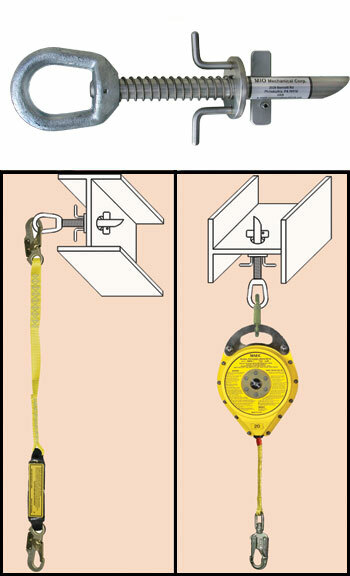 Anchor slings provide an OSHA-compliant anchor point when attached to a structural support capable of supporting at least 5,000 lbs. 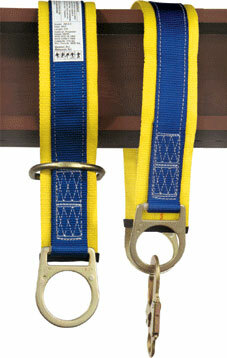 The anchor slings are made of 1 3/4" wide polyester webbing with 3" wide wear pad to protect against abrasion. The most popular lengths are 4 and 6 ft., other lengths may be ordered to suit your application. 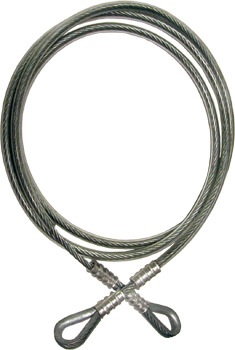 Galvanized steel 1/4" Cable Sling Anchor features 6’ overall length and is used by looping over beam and connecting ends. Could be used as an anchor for fall protection as well as horizontal lifelines.